Bishop asks all parishes to offer confessions, April 4, 6:30 - 9 p.m. 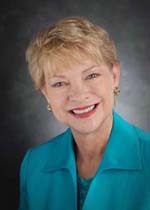 Announcing the 2012 Pro-Life Person of the Year! Prayer request for award namesake Fr. Edward Robinson, O.P. Two Days Left to Promote Your Business or Ministry at the Bishop's Dinner! On April 14th at The Bishop's 19th Annual Catholic Pro-Life Dinner, we will recognize one special hero of the pro-life movement, who will receive The 2012 Father Edward Robinson, O.P.,* Pro-Life Person of the Year Award. "Angie is a soul dedicated to saving babies." "I have watched Angie spend every day in service to the precious preborn, always with her trademark patience, devotion and love." 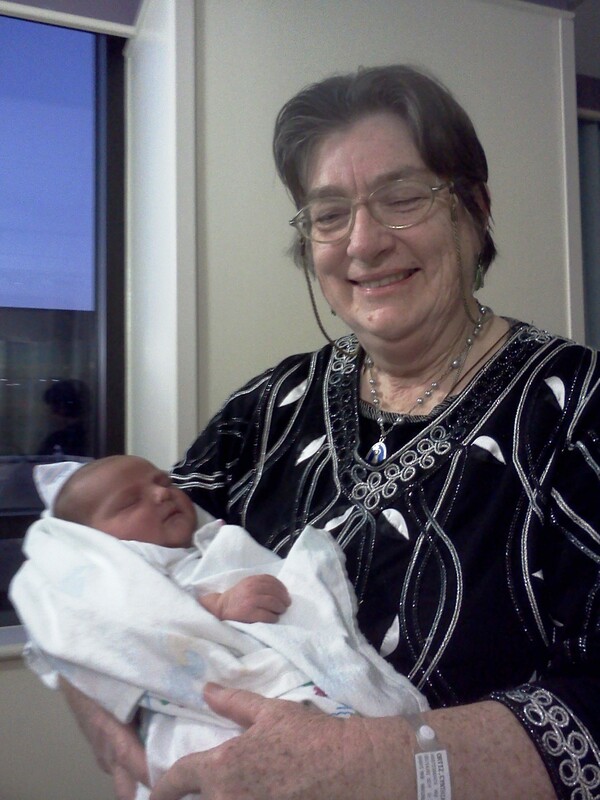 "It is no exaggeration that every time I see Angie she is promoting life and doing everything she can to end abortion." "She is an incredible fighting force for the unborn." Please join us at the Bishop's Dinner to honor Angie and enjoy a spectacular program featuring October Baby star John Schneider. Buy your tickets today at prolifedallas.org/dinner! Come learn the Msgr. Philip Reilly method of peaceful, prayerful presence which has helped more than 22,000 mothers turn away from abortion in New York and 5,500 mothers here in Dallas. If you feel called to be a prayer partner for a sidewalk counselor, then this training is also for you! Join us in celebration of what the Lord has done during 40 Days for Life! The Victory Rally will feature keynote by St. Rep. Ken Paxton and music by the Maylee Thomas Band! Refreshments and area pro-life information booths will be available! 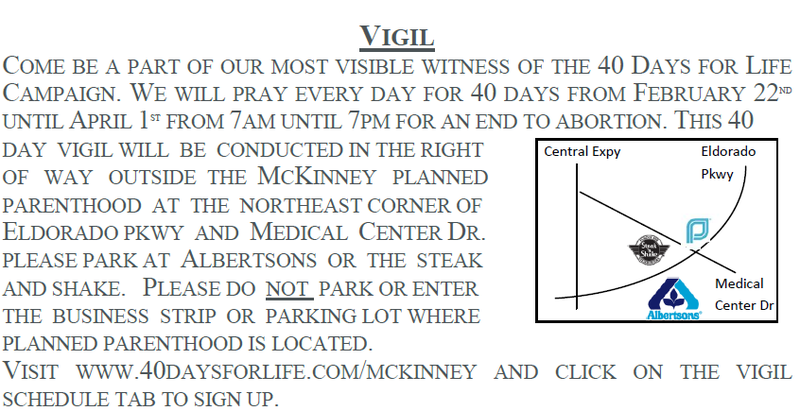 The McKinney prayer vigil continues through April 1st from 7 a.m. - 7 p.m. in the right of way outside the Planned Parenthood at the northeast corner of Medical Center Dr and Eldorado Pkwy (map). Click here for more info and to sign up to pray. Sponsored by 40 Days for Life-McKinney. Good Friday Pro-Life Stations of the Cross with Fr. Paul McCormick, O.Cist. Join us as we pray the Pro-Life Stations of the Cross, the Sorrowful Mysteries of the Rosary, and the Chaplet of Divine Mercy, and unite our sufferings and the sufferings of aborted babies and their suffering parents with those of Christ. Time: 12 - 1:00 p.m.
Also on Good Friday, Dallas will welcome 39 women walking from the mega-Planned Parenthood in Houston to downtown Dallas in remembrance of the 39 years of legalized abortion. All are encouraged to be a part of the crowds gathering at 10 a.m. to welcome these historic women to Dallas. Beginning at 12 p.m., women of all faiths are invited to the Dallas Convention Center for a revival call to faith and healing from the tragedy of abortion. Click here for more info. Sponsored by Back to Life and Esther Call. The Bishop's Pro-Life Dinner offers a variety of ways to put your company, organization or services in front of 2,000 Catholic pro-life adults and to show your common cause with our life-saving ministries. All sponsorships are fully tax-deductible and start from just $200 for a one-third page Program Book Ad and a listing in our Pro-Life Partners website directory. Full-page ad sponsorships of $500 also include web links from our website and E-alerts to yours. Click here for details on how to sponsor. The deadline for sponsorships is March 30, so please contact us today for more information! And a big thanks to those sponsors who have already purchased ads and are featured on our Bishop's Dinner sponsor page! The Vatican has approved the publication of the "Rite for the Blessing of a Child in the Womb," which will be printed in English and Spanish in a combined booklet and should be available for parishes by Mothers' Day. The U.S. bishops who collaborated on the development of the blessing welcomed the announcement . . . . "We wanted to make this announcement as soon as possible so that parishes might begin to look at how this blessing might be woven into the fabric of parish life," said Archbishop Gregory Aymond of New Orleans, chairman of the USCCB Committee on Divine Worship. Read entire article here. After drawing 54,000 [now est. 61,000!] 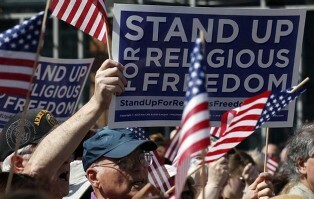 people to 143 nationwide protests, leaders of the Stand Up For Religious Freedom campaign are more determined than ever to end the federal contraception mandate. “From coast to coast, the response of the crowds at these rallies was a tremendous optimism that we can change the HHS mandate,” said Pro-Life Action League Executive Director Eric Scheidler, who planned the March 23 “Rally for Religious Freedom” with Citizens for a Pro-Life Society. Continue reading. Also of interest: Cardinal Dolan, President of the United States Conference of Catholic Bishops, commends those who participated in the Rally to protect "the right of every person of faith to be free from being forced to do something that violates their conscience." Read his entire letter. Learn more at prolifedallas.org/conscience. The Hunger Games wasn’t this weekend’s only box office success story. As Katniss Everdeen fought for her freedom on screens across the country, a humble pro-life film called October Baby quietly opened in just 390 theaters. That modest release, which co-stars Jasmine Guy and John Schneider, ended up earning a cool $1,718,000 – enough to put it among the weekend’s top eight earners. Continue reading. If you haven't seen October Baby – don't miss your chance! Buy tickets before it's gone. See film director Jon Erwin and star John Schneider live and in person at The Bishop's 19th Annual Catholic Pro-LIfe Dinner on April 14 – Reserve your seat today! The Catholic Pro-Life Committee currently has open a part-time position (20 hours per week) assisting the Spanish Ministry. The applicant must be fluently bilingual (read and write) in both English and Spanish and have written and verbal translation skills. The principal functions of this position include assisting in preparing materials for conferences, placing telephone calls, conducting mailings, and data entry. Position also includes attendance at evening and weekend events with the Spanish Ministry Director when necessary. Click here for a full job description and qualifications. or call 972-639-0259 for appointment.